Good evening everyone! I have some exciting news for all of my fellow Pinterest lovers! 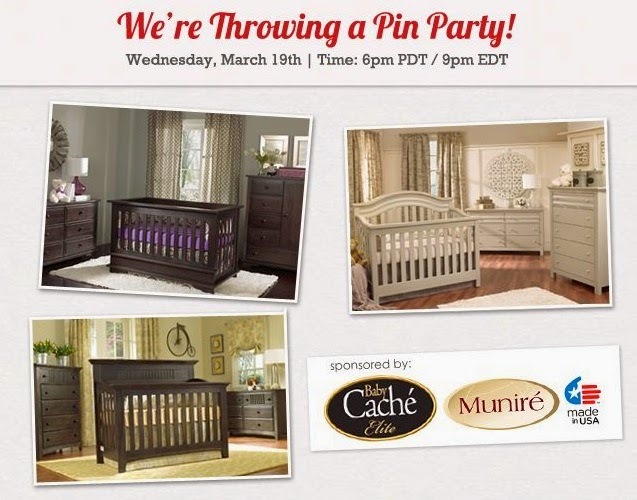 I have the honor and privilege of guest-pinning on Project Nursery's "Made In The USA Pin-It Party" tonight at 6PMPDT/9PMEDT along with a fantastic group of top designers, design enthusiasts and bloggers. I couldn't be more excited, as they are woman that I am creatively inspired by and follow daily. 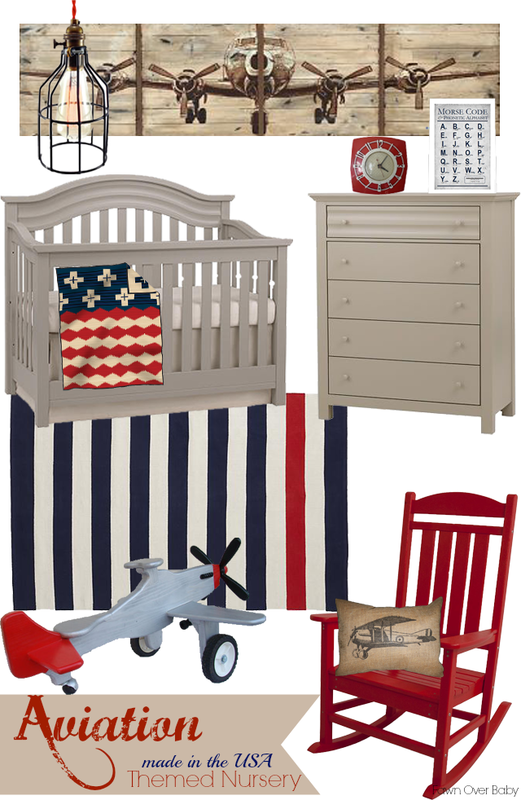 When it comes to nursery designs, we all know that nursery furniture is our first thing on the list to check off. They are usually the big focal point and the pieces that we all tend to gravitate to. Well tonight we are spotlighting a collection of beautifully crafted nursery furniture by the wonderful Munire Furntiure and Baby Cache. 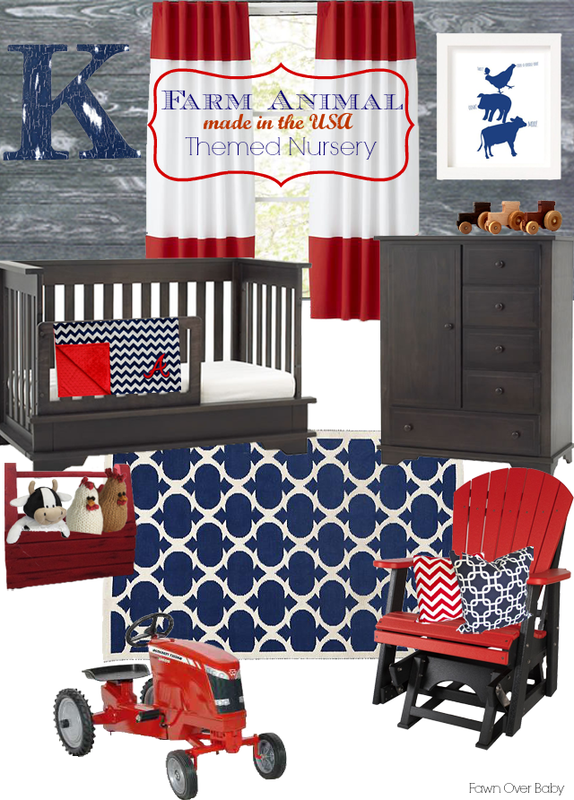 Here are a few designs that I put together in honor of tonight's "Made In The USA" Inspired Nursery Design using these beautiful furniture brands and decor pieces that are all (but a few) made In The USA! I also stayed within the traditional red, white and blue color scheme in honor of our American Flag! So cute .....love Americana theme......farm is my fave!! !